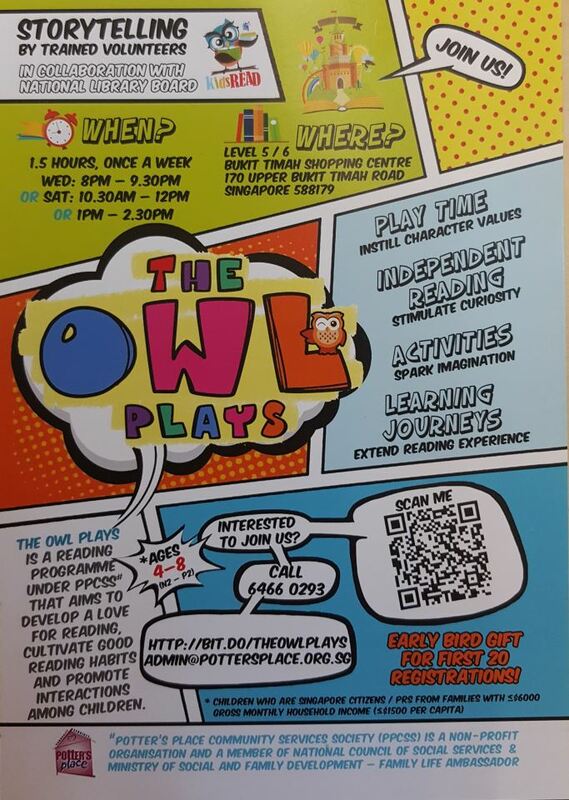 The OWL Plays - a reading programme in collaboration with National Library Board. The aim is to develop a love for reading, cultivate good reading habits and promote interactions among children. WHO? Children between 4-8 years old who are Singapore Citizen or Permanent Residents from families with gross monthly household income below $6000 (below $1500 per capita income). 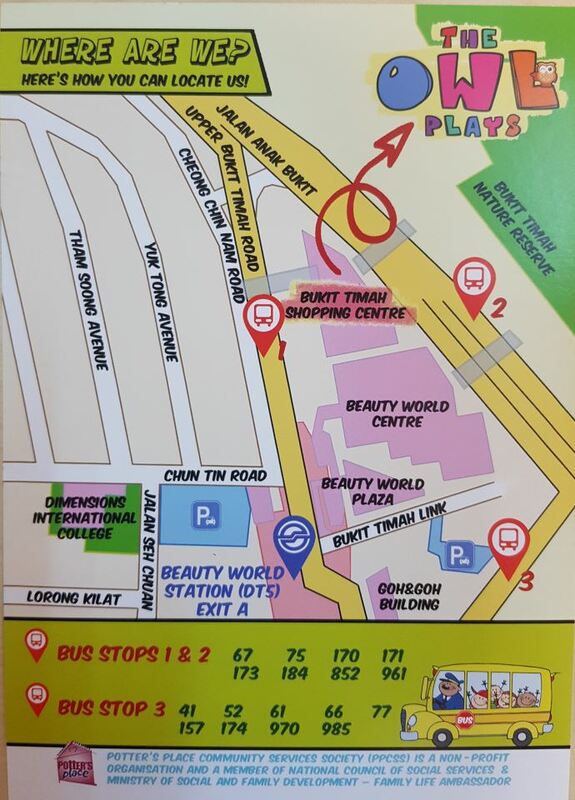 Please CALL 64660293 for registration and other information.